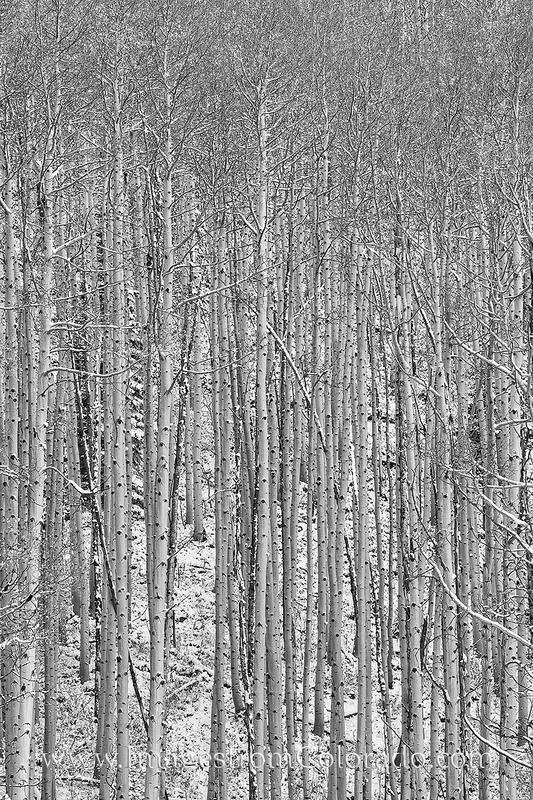 This black and white image of aspen trees was taken in the Maroon Bells Wilderness area near Aspen, Colorado. An autumn snowfall brought colder weather to Maroon Lake and the Maroon Bells, and the bare aspen trunks made for a nice intimate scene. Photo © copyright by Rob Greebon.